LAS VEGAS, NEVADA – March 18th-19th marked the season opener of OPTIMA’s Search for the Ultimate Street Car season. 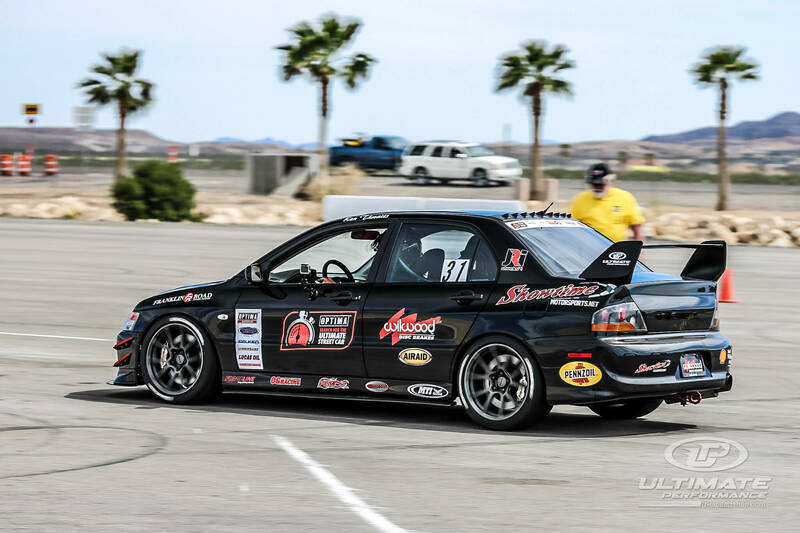 Hosted at Las Vegas Motor Speedway, 77 drivers gathered during the warmest weekend of March to push their cars to the limit. 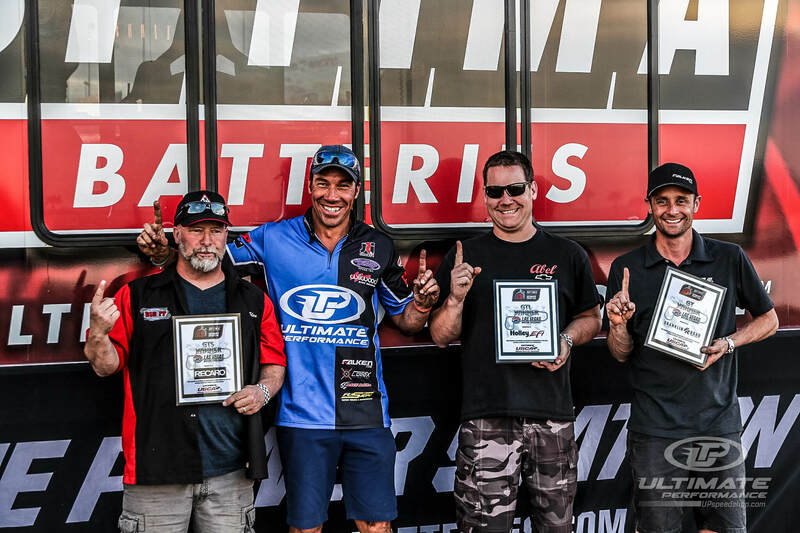 The Ultimate Performance team was off to a strong season start, taking multiple podium finishes including three first-place class finishes. Jake Rozelle, former GTV class champion in his ’69 Camaro, made a big change this year switching to the GTS class in his C5 Corvette powered by a potent LS7 engine. Trusting the same winning brands as his ‘69 Camaro, Jake upgraded his C5 to JRi Shocks and Falken Tires. In preparation for Vegas, he made some serious modifications including decreasing the cars weight and increasing horsepower. Jake’s scores in the speed stop challenge, road course and autocross placed him in a tie with Glen Barnhouse, but a higher score in the design & engineering challenge gave Glen the overall class victory. Glen is a new addition to the UP team and recently upgraded to Tuned UP JRi Shocks. With added adjustability and support from JJ, Glen gave solid finishes in all categories to bring home the win. Rich Willhoff, last year’s GTL champion, picked up where he left off as he dominated the GTL class over the weekend. This was our first time working with Rich and we already have his car dialed in to take down the competition with newly upgraded Tuned UP JRi Shocks. Ken Thwaits ended the weekend just a few points behind Willhoff for a second-place finish in the GTL Class. 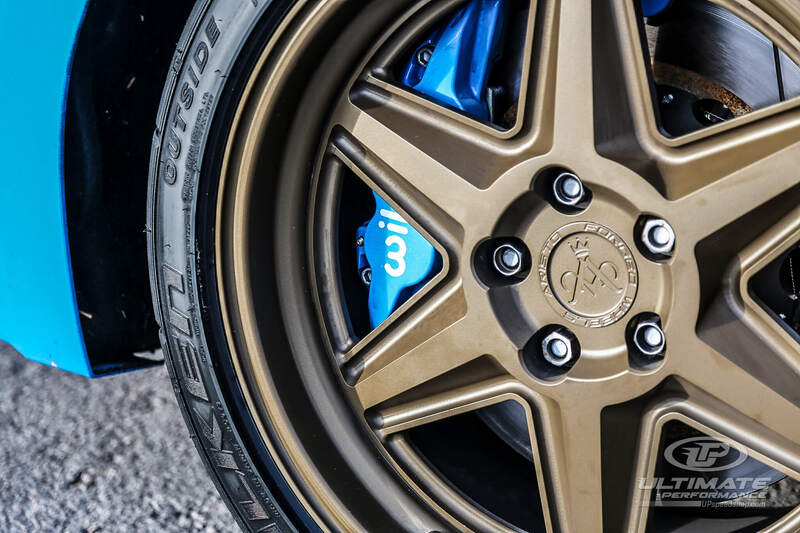 The highlights of Ken’s weekend were his first-place finishes in the speed stop and design & engineering and second-place finish in the Falken Tire Road Course Time Trial with his prototype Wilwood Disc Brakes and JRi Shocks. Made specifically for the EVO platform, these products will soon be available on Ultimate Performance’s webstore. 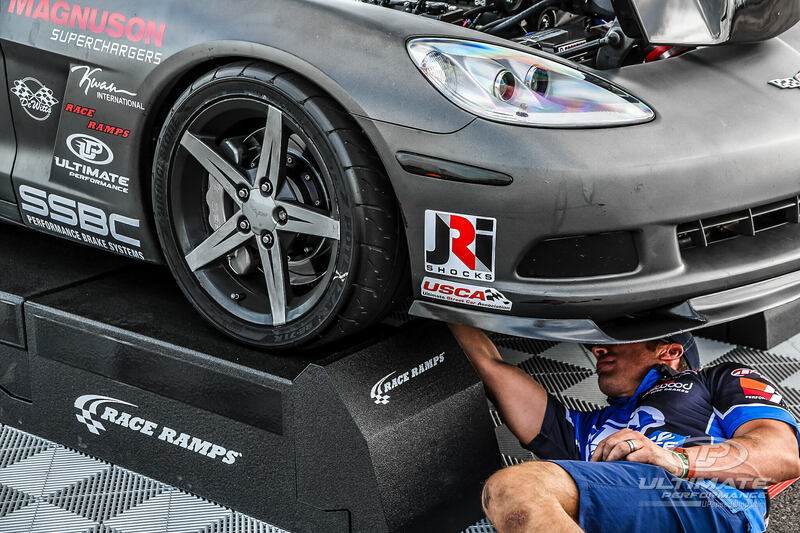 The C5 and C6 platform dominated as both the GTL winner (Willhoff) and the GTS winner (Barnhouse) ran on JRi Shocks from Ultimate Performance. Along with Brian Hobaugh’s fourth-place GTS class finish and Jake’s second-place GTV finish, the C5 and C6 platform paired with Tuned UP JRi Shocks by Ultimate Performance have proved to be a match made in heaven. 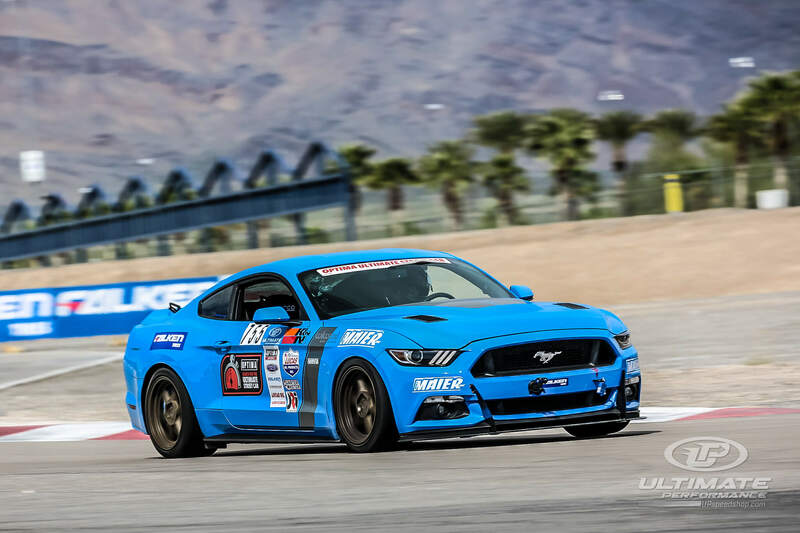 Mike Maier has spent the last few years campaigning his ‘66 Mustang in the GTV class, but this year he’s switching things up as he enters the GT class in his new 2017 Mustang. The new car is already off to a great start with the tried-and-true combination of Wilwood Disc Brakes, JRi Shocks and Falken tires. Mike was one of many drivers to run the newly debuted Azenis RT615K+ tire this weekend taking the GT class win. Team Falken took a clean sweep of GTV class with John Lazorak taking first, followed by Efrain Diaz and Chad Ryker. The winning team paired their the new Falken’s with Wilwood Disc Brakes which may quickly become a trend for winning cars this season. The season opener for Optima’s Search for the Ultimate Street Car was a successful one. Despite rushed transitions between the speed stop and road course on Sunday, Ultimate Performance drivers stayed on top of the competition. If this trend continues, the future is sure to have many more UP wins thanks to the help from our partners. Catch us next at NOLA on April 21st-23rd. UP Yours! UP winners are highlighted in red.